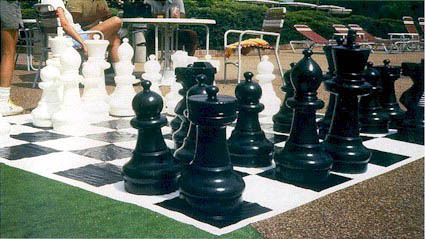 The Premier Giant Chess pieces come in two parts. The base of each piece can be removed and filled with water or sand in order to weight as necessary. The King is 2 feet high. Great for corporate entertainment, parties and other public events.